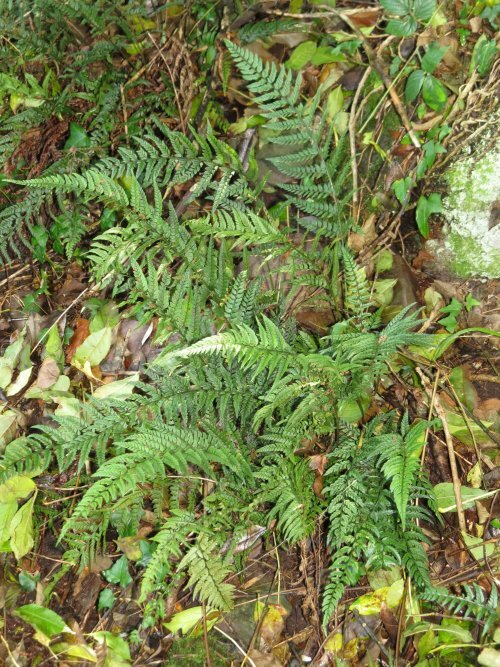 A fine dwarf variety of fern, the dark green fronds have pointed tips. Will grow in dark, shady areas, the silver scales on the underside opf the fronds help light up that difficult shady area. Quite stunning.